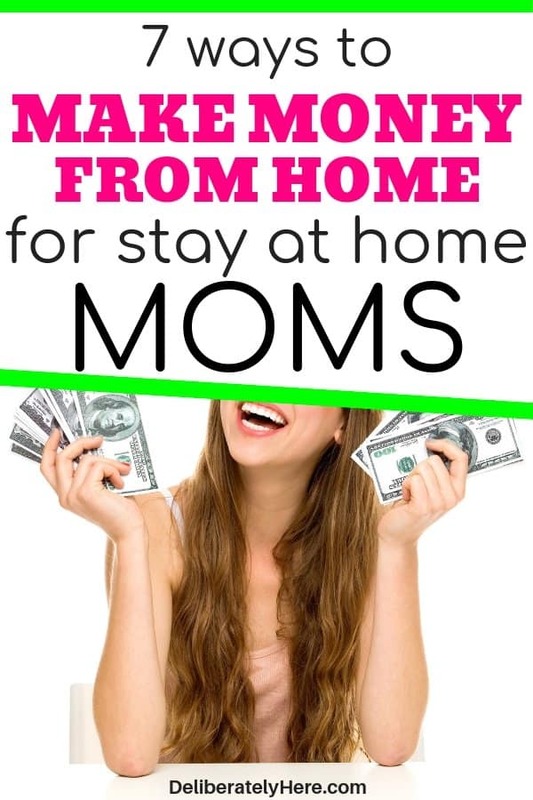 So, you’re looking for ways to make money from home? And you’re not talking something that’s going to earn you $20/month. You’re looking for something that can pay the bills. Something that could lead to the potential of you quitting your job and working from home full-time. Who doesn’t want to be their own boss?! When I quit my job to become a stay at home wife, one thing became very apparent: my husband and I were losing a stream of income, but the bills were going to keep coming in. 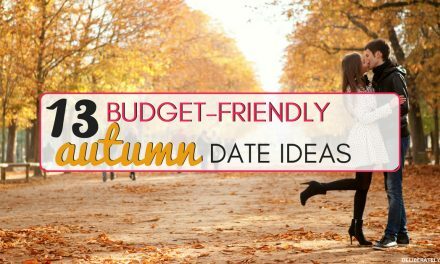 For many months we both worked hard at committing ourselves to living frugally, cutting costs, and saving money anywhere we possibly could. After just about a year of being a stay at home wife, I decided that I wanted to experiment and try to find something I could do from home to make a bit of money. I’m sure you’re already aware of this, but there are so many SCAMS online these days it can make it hard to trust anything. When I was looking for real work from home jobs, I found countless scams. Sites that would claim I could be earning $10,000/month, but I just had to give them my credit card number, first. After a while, I was tempted to admit defeat and just give up on the whole idea, but I am SO glad I didn’t! If I would have given up back then, I wouldn’t have ever discovered a passion (that I didn’t even know existed) of mine, and how I could make money with that passion. That passion, for me, was blogging. BUT – blogging is not a get-rich-quick scheme. It’s not something you start doing one month and you end up making a full-time income the very next month. It’s something that takes TIME to build up. If you’re interested in learning how to start a blog and turn it into a full-time business, click here to claim your spot on my free email course. 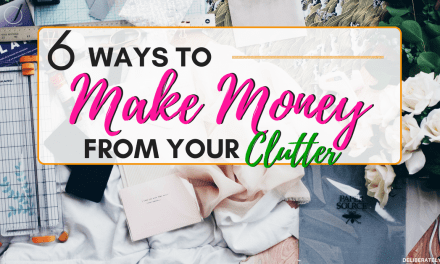 But, blogging isn’t what I want to talk about right now – if you’re here I’m willing to bet you’re looking for ways to make money from home FAST. Something you can start today, and be making good money within a month. So, I went ahead and put together a small list of ways to make money from home – that AREN’T scams. Jessica from TheSellingFamily started selling discounted items that she found at normal stores on Amazon and started earning over SIX FIGURES in profit in one year. So many words in that last sentence blow me away… Jessica bought discounted items from NORMAL stores, then turned around and sold them on Amazon. She then PROFITED OVER six figures in ONE year. 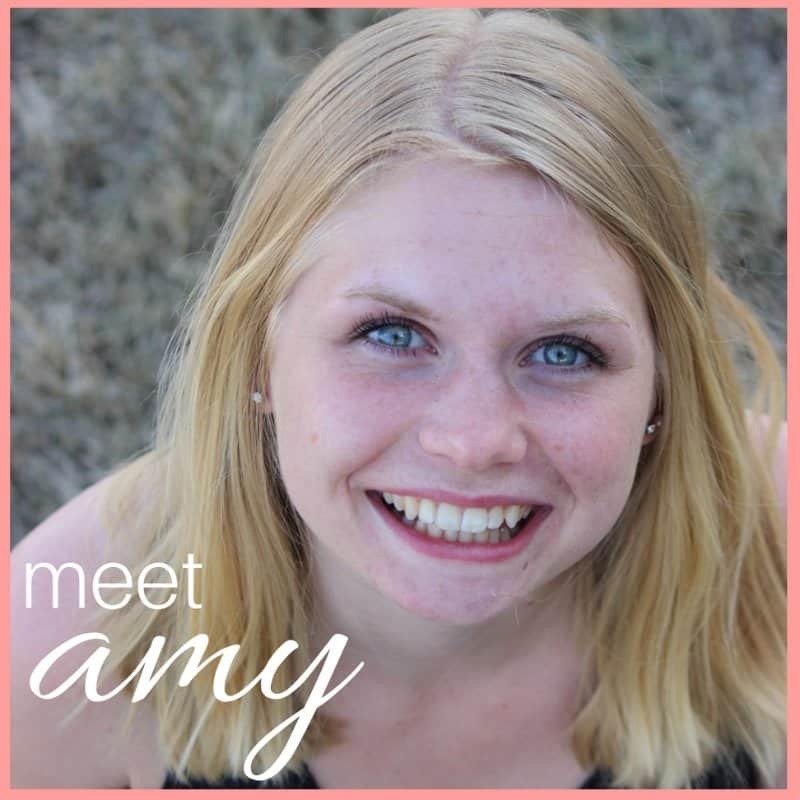 She had a love of finding discounted items and decided to start selling them on Amazon and made over six figures in one year. She teaches everything she knows in this free 7-day email course, you can sign up here. The success stories I have heard about this course are incredible, including a man who built a $10,000/month Amazon FBA business in less than four months. Jessica started making a full-time income on Amazon in 2009, and her husband quit his job and joined her in 2012. One of my favorite parts of TheSellingFamily is that they are FAMILY-focused. 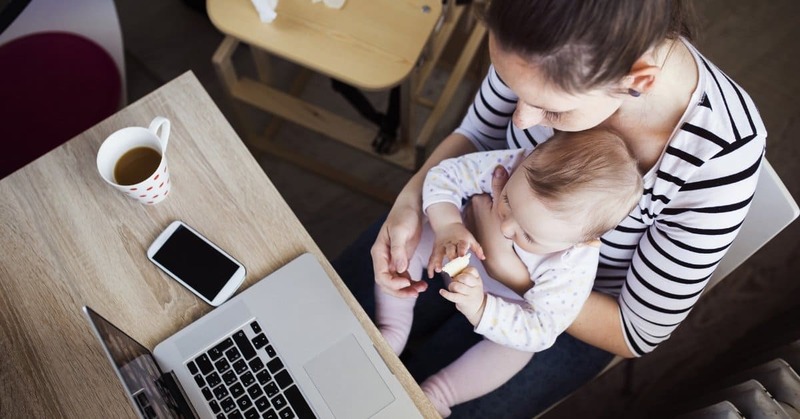 They truly believe that family should always come first (and they show you how you can keep your life family-first, even while starting up a business). If you are looking for a real way to make real money from home fast (and money that will last, not where you’ll get $20,000 one month, then down to nothing the next), sign up for Jessica’s free 7-day email course here to see if selling on Amazon is a good fit for you. If you find yourself catching grammar mistakes and you love to read, becoming a proofreader could be the perfect work from home (or anywhere) job for you. When you become a proofreader, you can work literally anywhere. Caitlin, the creator of General Proofreading: Theory and Practice started proofreading transcripts for court reporters back in 2012. In 2012, 2013, and 2014 proofreading was her primary source of income. You can learn more about becoming a proofreader here (and take Caitlin’s free proofreading course). The role a virtual assistant plays can vary, but generally, VAs have similar tasks as executive assistants and/or receptionists. Except, as a VA, you get to work from the comfort of your home. With the number of online businesses growing like crazy each year, the need for virtual assistants is also rising. The jobs that you will be doing as a VA depend on the company/person who hires you. Some U.S. based VAs charge around $35 – $100 per hour. When you become a VA you may get hired temporarily by a company to complete a few tasks, or you could be hired on as a permanent VA for that company. If you enjoy working on the computer and you’re willing to learn new things, becoming a VA could be a great work from home option for you. Virtual assistants generally just need a computer and an internet connection – so you really could work from anywhere you wanted to – not just from home (which opens up so many doors of opportunity!). 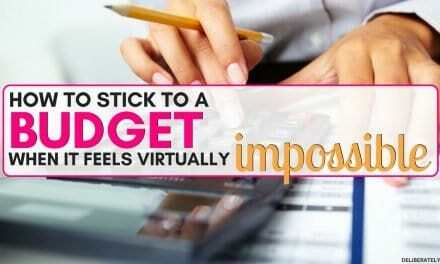 Click here to learn more about becoming a virtual assistant. There are millions of people making a living from home, and freelance writing is one of the many different ways that people are using to make working from home a possibility. Many bloggers and businesses will pay good money to have someone write their content for them. If you enjoy writing, this could be the perfect job for you (and a good way to guarantee you get paid – unlike blogging which takes a while to build up). When you become a freelance writer you are self-employed and you hire yourself out to companies. You have the option to work for just one company – or as many as you would like, and you can work on your own time (which is always nice). If you have a passion for writing, but don’t want to spend a bunch of time building a blog, becoming a freelance writer for companies is a really good way to earn an income doing what you love – from home. Learn more about freelance writing for a career here. Do you do online shopping? If you do any amount of online shopping and you haven’t been utilizing Ebates, it’s time to start. Using Ebates isn’t so much of a “work from home” option, but it is a really effective way to save and earn a bit of money at home, on the side. Ebates offers up to 40% cash back (as well as coupons and discount codes) at over 2,500 online retailers. If you’re shopping online and you shop through Ebates, you will earn a certain percentage of the money you spend BACK. Now, just because you’re hearing about this now doesn’t mean you should go on a crazy online shopping spree – but it is really good to know about if you do regularly shop online, anyway. You might as well be making some money while you do it, right? You can learn how to earn up to 40% cash back through Ebates here (it’s free to use AND you will get a free $10 bonus). 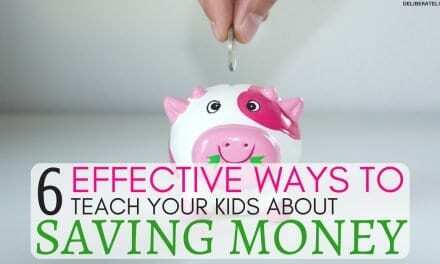 Taking surveys is another way that many people like to earn some extra money from home. Again, taking surveys is not going to make you rich. In fact, they’re probably not even going to be enough to pay any of your bills. Surveys require a lot of time committed, and it usually takes a fair bit of points to add up to any amount of cash value. BUT if you have spare time some days when you’re sitting around not doing much – maybe you’re listening to music or watching TV, you could take a couple surveys on your computer and earn an extra $5 – $10. Surveys won’t pay your bills, but they will give you a bit of extra spending cash each month, which is nothing to complain about. Plus they’re free, and you can complete the surveys anytime you want. Click here to start earning money through surveys. I briefly talked about blogging at the very start of this post, and how it’s not a way to get rich quick, like some of these other work at home jobs are. But, I still wanted to add blogging to the list because blogging is the very thing that allowed me to continue being a stay at home wife (and now, stay at home mom) even when our expenses went up and my husband switched to a lower paying job. Blogging has NOT offered me fast money, but what it has offered me is a steadily increasing income over the months – and untapped potential. The thing I love about blogging is that you can earn money from home all while helping people solve their problems. If you’re passionate about helping people and you think blogging might be the best way for you to earn an income from home, you can sign up for my free email crash course on starting an income-earning blog, here. Again, blogging is not the way to go if you want to get rich quickly, but it certainly is the way to go if you have patience and are willing to put in hard work towards building a thriving business. My blog has grown from making NOTHING to earning me more than I made when I worked full-time outside the home, and that’s the beauty about blogging – once you figure out what works for you and your blog, there is no limit on the amount of money you can make. But you HAVE to be patient. Those overnight success stories that you see everywhere happen to very few people (and what you might think is “overnight success”, they might see as a whole lot of hard WORK). There are hundreds of different ways to make money from home, and finding the one that is the right fit for you can be a tricky task (and finding one that isn’t a scam). Starting with these 7 options, did any of these work from home jobs stand out to you? 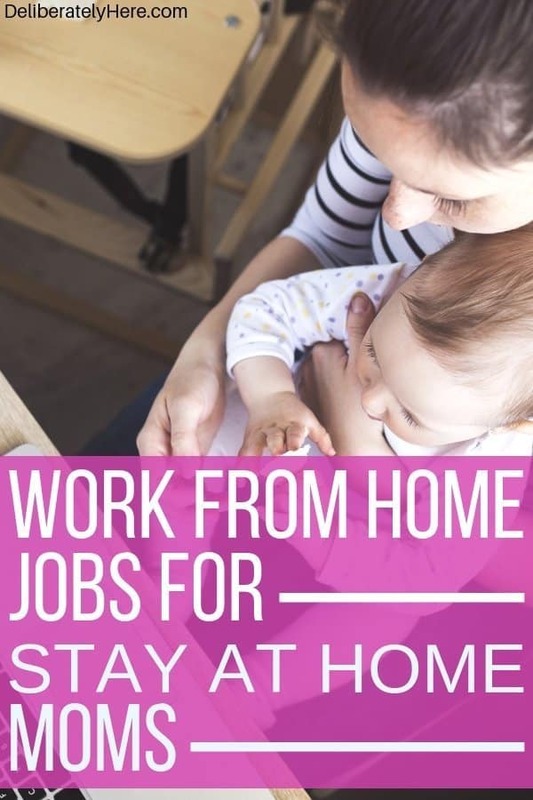 Did you sign up for the free intro courses into these work from home jobs so you can learn more about the job and decide whether it’s the right fit for you? I know that it can be frustrating to find the right work from home option – especially when you want to make money quickly, but in reality, fast success doesn’t always mean long success. Just because you found a trick to make money overnight, doesn’t mean you have laid the right, solid foundations that you need to lay to be sure that income continues over the years. With any option you choose to make money from home, you’re going to have to put in the effort. You’re going to have to treat it like a real business. And that’s when you’ll see success – when you put in the work. I’d love to hear what your favorite ways to make money from home are? 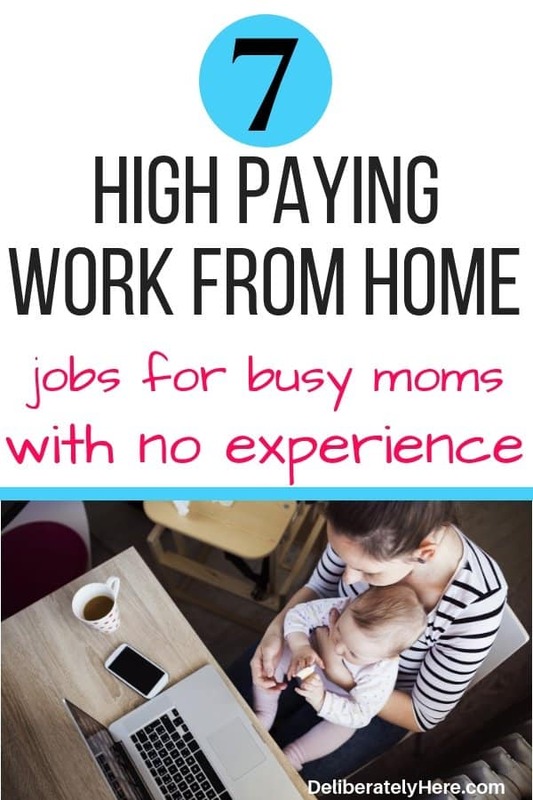 Do you have a work from home job that isn’t on the list, but you have seen great success with? Feel free to share it with us in the comments below!